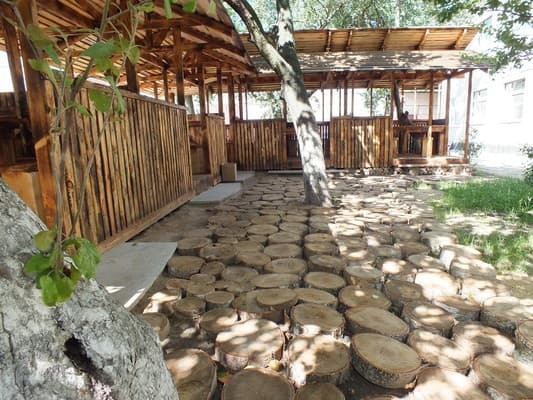 Mini-Hotel "Mix" is located in Chernigov at a distance of 7.3 km from the center. 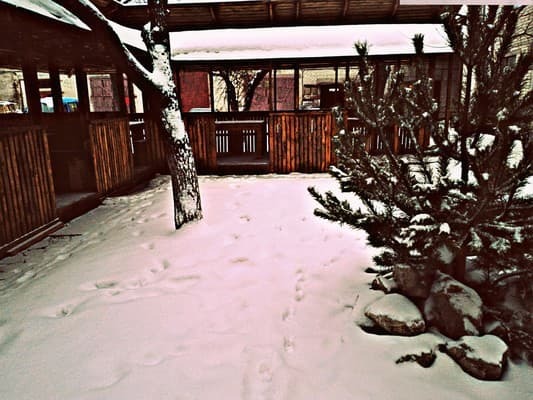 Guests are offered accommodation in cozy rooms of economy, junior suites and suites. Each room is equipped with a bed, table, wardrobe and TV. In the category of "junior suite" there is an electric kettle, in "suites" - a refrigerator. Free Wi-Fi is available throughout the property. By prior arrangement for a fee you can use a washing machine and iron. Guests have a buffet-cafe, where you can order meals from the menu, home-cooked meals. There is also a common area with a fridge, a stove and a microwave. 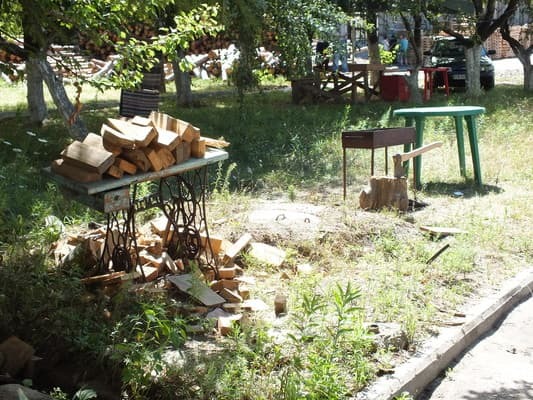 On the territory of the hotel it is possible to rent wooden arbours for a different number of places and a barbecue, there is a guarded parking charge for trucks and cars. 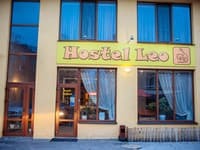 Mini-Hotel "Mix" is located 30-40 meters from the roadway. The distance to the bus station is 7.3 km, to the railway station - 8.3 km. The nearest public transport stop "m / n ZAZ" is located 120 m from the hotel. 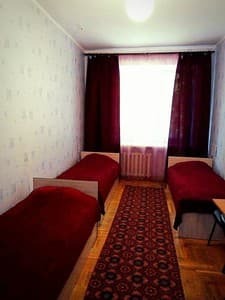 Description of the room: Triple economy with three separate beds. 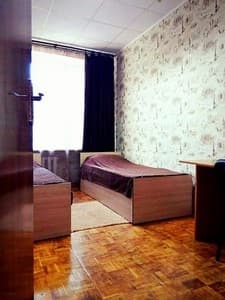 Description of the room: Budget single room with author's mebeyu from podonov.Podoydet for guests who do not want to populate. 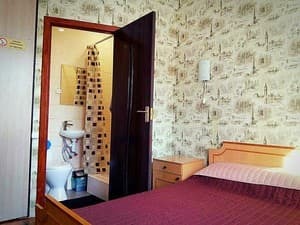 Description of the room: Comfortable semi suite. Double bed, facilities in the room. TV, kettle, crockery. 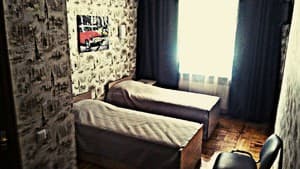 Description of the room: Comfortable double room is equipped with a double bed. Description of the room: A large room with two separate beds (can be moved if desired) with amenities in the room. Easy to find, secure parking, big room. Bathroom was bit small, but everything was working! В отеле чисто. 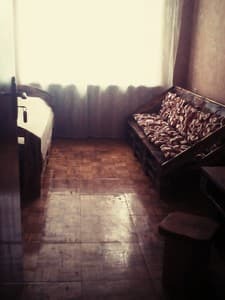 В двухместном номере за 600 грн. Есть все необходимое, в том числе одноразовые наборы. Чисто. Персонал приветливый. Тепло и уютно. Цена/качество - соотвествуют. 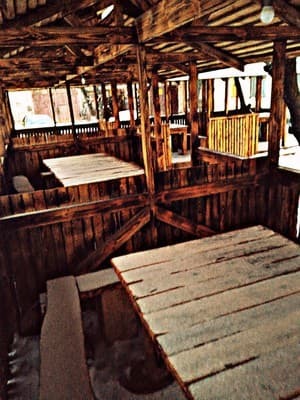 The hotel has a buffet-cafe, where you can order meals from the menu, home-cooked meals. 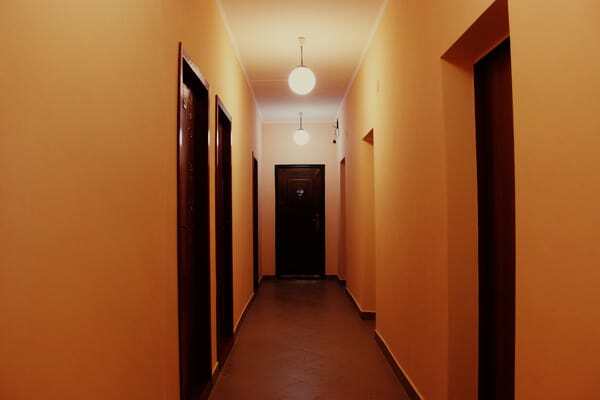 Mini-Hotel "Mix" is located in the city of Chernigov, at a distance of 7.3 km from the center. The distance to the bus station is 7.3 km, to the railway station - 8.3 km. The nearest public transport stop "m / n ZAZ" is located 120 m from the hotel. The hotel can be reached by taxi №30,33 or by taxi.